Last week I had the good fortune to be invited to a lunch with Northeast Wines & Spirits and Chilean winery Matetic Vineyards. In all we tasted five wines and I was left with a sense that many a wine drinker is underestimating the quality of wine produced in Chile – myself included! Chilean wine is often thought of as cheap and cheerful and packed full of big, bold fruit flavours. A number of winemakers such as those at Matetic Vineyards in the San Antonio Valley, are working hard to expand this view to include a more sophisticated style of winemaking. 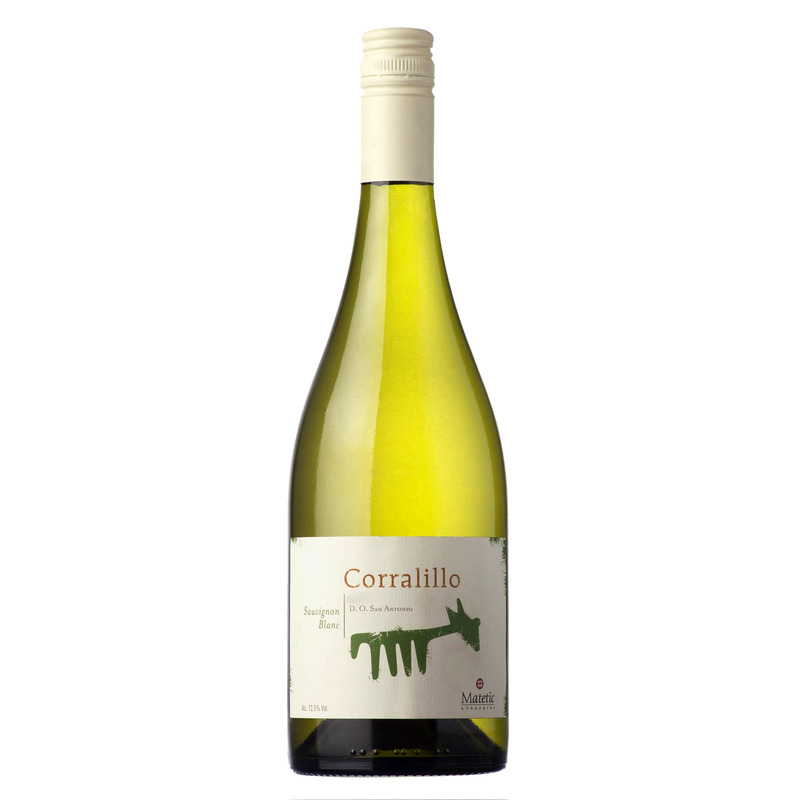 Our first wine from this cool region was the Corralillo Sauvignon Blanc. The grapes are sourced from all three of the Matetic vineyards – the Valle Hermoso, Santo Tomas and Rosario vineyards – all of which are subjected to the cooling influences of the Pacific Ocean. The grapes are handpicked each vintage in lots no larger than 12 kg to ensure minimal time between picking and arrival at the winery and one half of the harvest undergoes a four-hour maceration to enhance the aromatic profile available to the winemaker. The wine presented flavours dedicated Sauv Blanc drinkers would be familiar with as well some less familiar mineral notes, all wound around a lean structure. As luck would have it I attended a tasting the following day with Jaded Palates and the first wine we tasted was this same Sauvignon Blanc – always good to write tasting notes separately and then compare. Looking at my notes from both tastings the dominant flavour profile was fruit and mineral. Growing up with passion fruit vines in the garden I spent a good portion of my childhood parked outside next to the vines, teaspoon in hand and eating as many fresh passion fruit as possible before being discovered. The nose and flavour of this Sauvignon Blanc instantly transported me back to those days of stabbing open a fresh passion fruit with my teaspoon, the pungent and tangy perfume of the breaking skin enveloping you before diving in to the fresh pulp and seeds, leaving your taste buds tingling. The mineral flavour was one that reminded me of wet stones. Have I licked wet stones recently you may ask and the answer would be no, but what the flavour reminded me of was the smell of the first drops of rain on hot dry stones. The balance of fruit and mineral flavours together with a good dose of mouthwatering acidity makes this a wine that will appeal to a wide range of white wine drinkers, including those like me who normally wouldn’t choose a Sauvignon Blanc as their first preference. 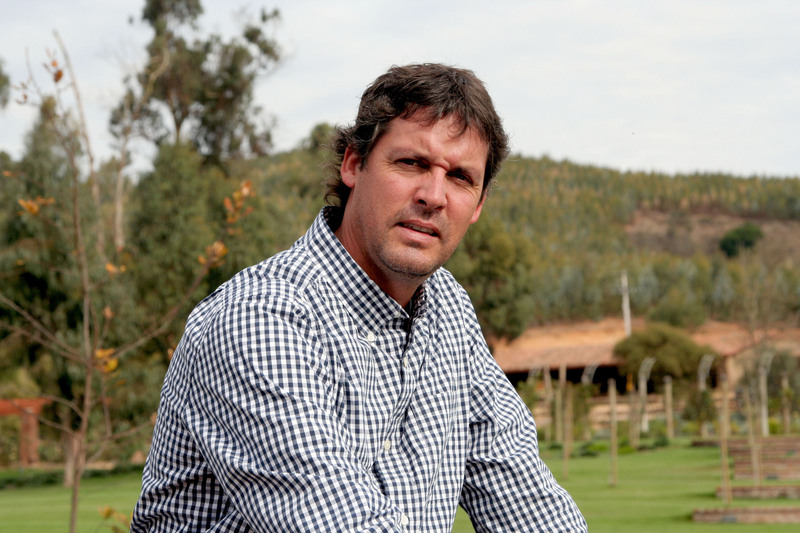 During lunch the President of Matetic Vineyards, Jorge Matetic Hartard and the Export Manager, José Miguel Irarrázaval, confirmed that Matetic Vineyards first planted vines in 1999 and the vineyards are located in the Rosario Valley, a sub division of the San Antonio Valley which lies between Casablanca and San Antonio. A decision was made very early in the life of the winery that the vineyards would be managed according to biodynamic principles and methods (a good explanation of what this means can be found on the Matetic Vineyards website here). In the past I have met many winemakers in New Zealand and Australia who choose to manage their vineyards according to biodynamic principles. A common topic for discussion was often how to work with one’s neighbours, who do not adhere to these principles of agricultural management, in order to minimise the impact on the vineyard. With this in mind I posed the question to Jorge and José as to how they managed at Matetic – the question was met with mild bemusement – the vineyards are situated in an enclosed valley, 10,000 ha in length, in a country blessed with pristine landscape and space – this is not an issue they face. As the lunch progressed we enjoyed an EQ Chardonnay and the Winemaker’s Blend, a red wine from the Corralillo range. 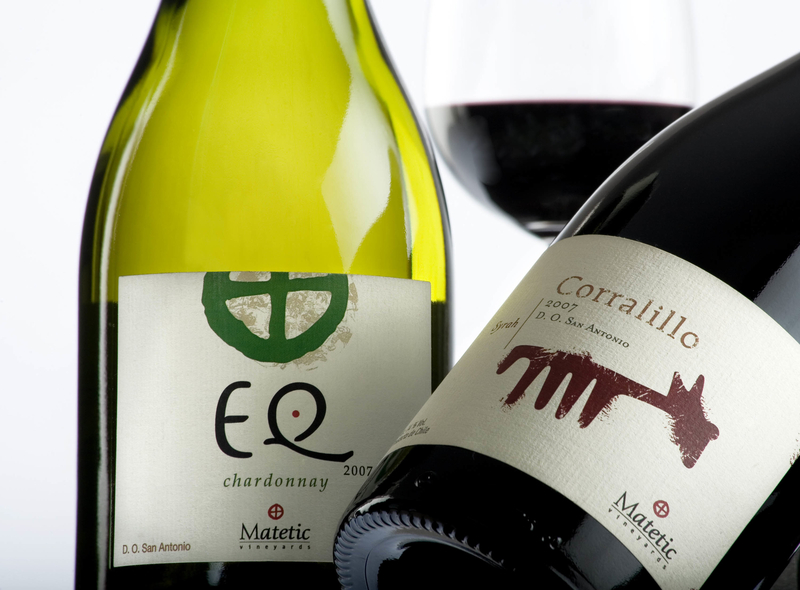 Matetic Vineyards have two tiers in their portfolio, the entry level Corralillo and the next level up, the EQ range. 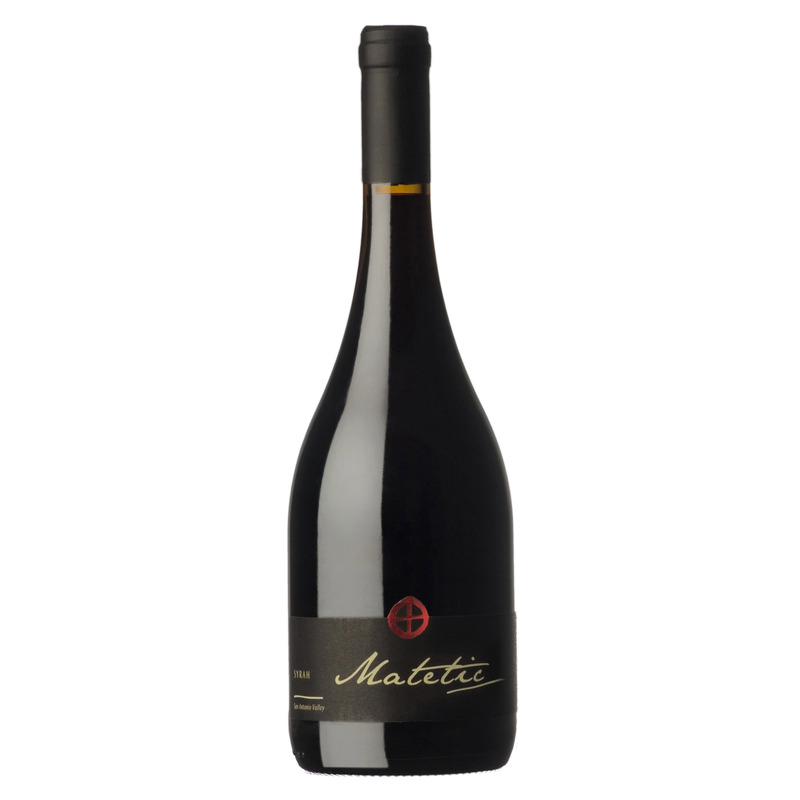 There is also the flagship Matetic Syrah which is only made in vintages deemed of good enough quality and even then, only 200 cases are produced each vintage. We were lucky enough to have the Matetic Syrah from 2009 on tasting with our lunch. 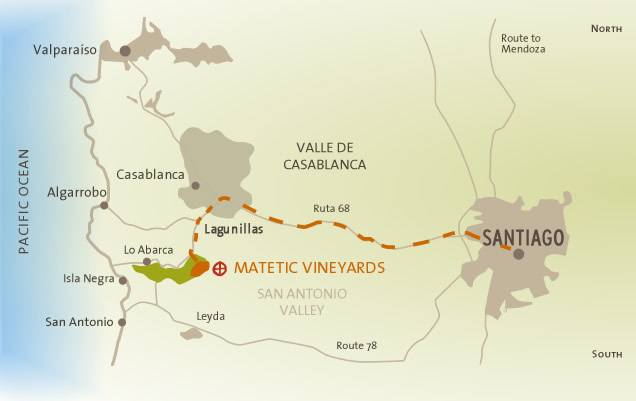 The grapes for this wine are sourced from two of the three Matetic vineyards – the Santo Tomas and Rosario vineyards – which include some of the oldest vines on the property, planted in 1999. Hand harvested and aged in a mix of old and new French oak, this wine was one of the favourites for most people around the table. With each sip it unveiled different flavours on the palate – the progression from black fruits to spice and finally dark minerals that reminded me of a freshly sharpened pencil, was absolutely delicious. Much discussion was had about the style of this wine and how it challenged the assumption of fruit bomb wines from Chile. While I agree this wine did that, I think the same could be said for most of the wines we tasted with lunch. What was very apparent from not only the wines, but also from conversations with Jorge and José, is the desire to create wines that are uniquely Chilean and that clearly represented the landscape from which they were produced, all within a framework of elegance and restraint. 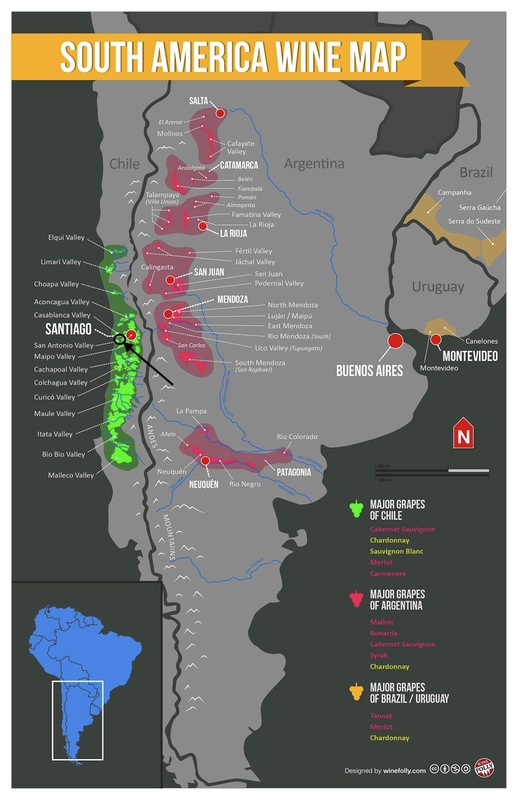 So next time you are looking for a great wine to share with friends that won’t break the bank, check out what Chile has to offer and a great place to start has to be the wines from Matetic Vineyards. Pale lemon green colour. Aromas of passion fruit, ruby grapefruit, gooseberry, guava juice, fresh asparagus and cut grass. On the palate high acid and medium minus body with flavours of passion fruit, gooseberry, fresh asparagus, white peach and wet stone. A medium finish and some warmth from alcohol (13.5% abv). Pale lemon colour. Aromas of stone and tropical fruit together with heady floral notes. On the palate high acid and medium body with flavours of lemon and lime, honey and a hint of toffee, as well as mineral notes, chalk or limestone. A medium finish of fresh citrus, particularly lemon. Aromas of black pepper, fennel and violets. On the palate a medium minus body, fine grained medium plus tannins and flavours of black fruits, blackberry and black plum, pungent and sweet spice, black pepper and vanilla. Aromas of dark chocolate, black pepper and red plums with a hint of barnyard and leather. On the palate a medium body with medium fined grained tannins with a soft chalky texture. Flavours of dark chocolate, black plum and subtle notes of vanilla. Aromas of red fruits, raspberry leaf, ground black pepper as well as fresh peppercorns with notes of cedar. On the palate very delicate fine tannins with flavours of black cherries, blackcurrant leaf, liquorice, aniseed and graphite or pencil shavings. A medium plus finish of dark chocolate and pencil shavings.